The wave of popularity on which the Small Living Movement rides is more than well founded, it is a liberating lifestyle change that will have a profoundly positive impact on your life. 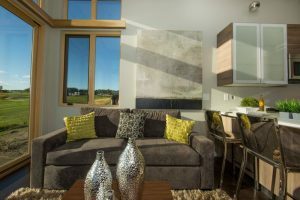 Once you make the decision, informed discerning home buyers like yourself are often let down by the standard park model and recreational home offerings. Pocket House not only defies current limiting mindsets, it exceeds expectations. Just because the space is smaller it does not mean the Quality of living is anything less than Spectacular! Our custom Pocket Houses are anywhere from 538 sq. 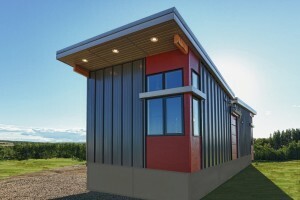 ft (park model product) to any size (recreational modular homes) to meet your specific needs. The attention to detail, selection of quality materials, products, and our thorough quality control systems as we build, do not allow our building process to be shortened. 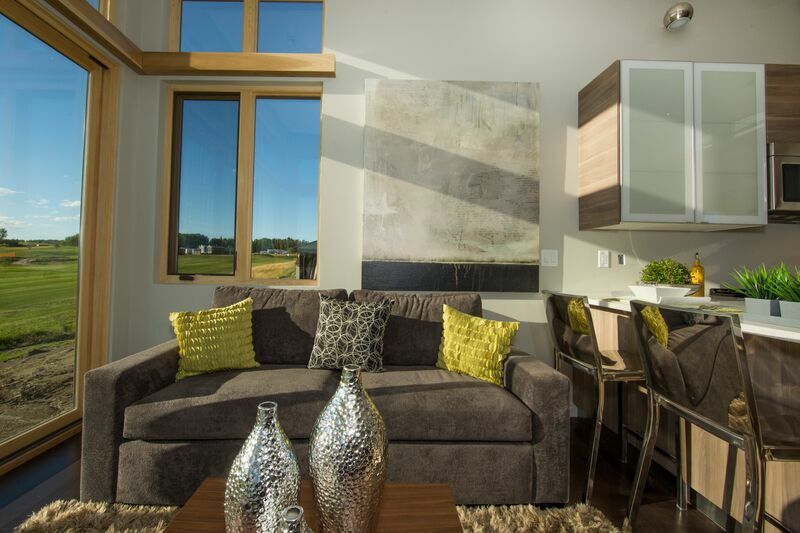 Your Pocket House’s smallest details are scrutinized and meticulously perfected – empowering you with peace of mind that comes with a solid home that will stand the test of time. Simply put, Pocket House may be classed as a Park Model or Recreational Home, but it redefines the category. 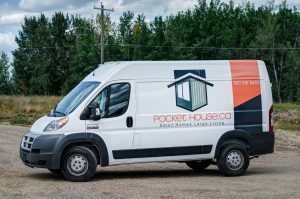 While the competition offers a base model which you upgrade everything from to arrive at what you want in a home, Pocket House is satisfyingly different. Pocket House is premium quality from start to finish. In short, your new home will astound you from your first impression and continue to impress you for years to come. It stands to reason you would expect to pay substantially more for this level of engineering and luxury but the reality is, they are modestly priced starting at $129,900.00. So take advantage of this exceptional deal and make owning a Pocket House a reality! Pocket House will also build wraparound decks and Arizona rooms — a covered and screened-in enclosure — which could easily double the size of the park model. 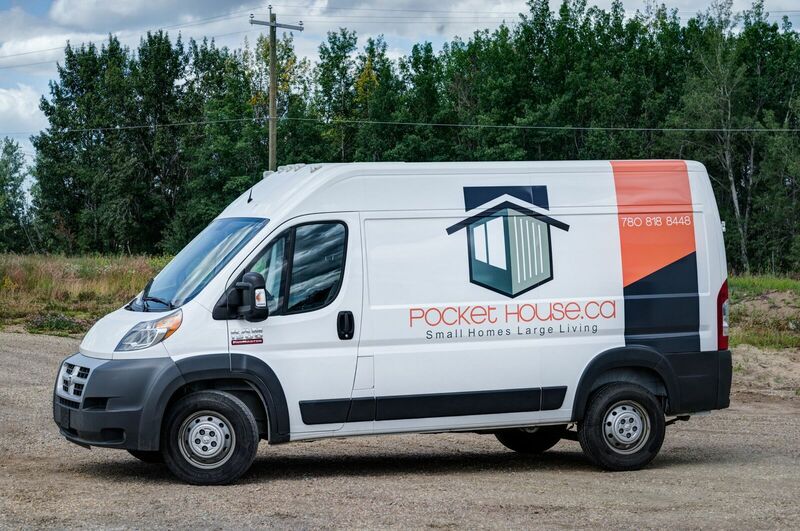 Proudly built here in Alberta, we are with you every step of the way: construction, delivery and servicing. A Pocket House is more than a wonderful home, it is a partnership that will stand the test of time. Pocket House Inc. offers a comprehensive new home warranty to ensure your investment & family are always protected. If you have any issues after you move in, our customer service team will take care of you. 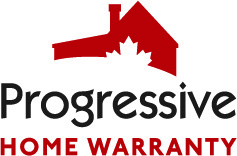 The Progressive New Home Warranty Program is the fastest growing New Home Warranty company in Canada. For Additional Information or to Arrange an Appointment, Please Call 1.855.872.8585 or email info@pockethouse.ca. Canadian owned and operated since 2006 Signature Lane offers a wide range of interior design services specializing in furniture & accessories. Signature Lane’s products are designer driven by offering a unique selection of products that stand out from the crowd. Experience bold and beautiful furniture and accessory lines that are unique to Edmonton. Whatever your style – classic to contemporary, traditional to trendy – Signature Lane Interiors fits your lifestyle!